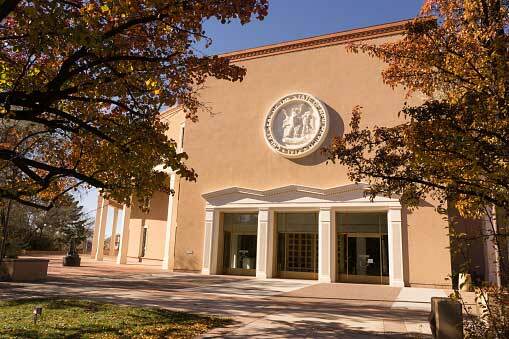 SANTA FE — Capping a brisk and diligent first few weeks of the legislative session, and signaling the launch of a new era of productive, collaborative work processes at the Capitol, Gov. Michelle Lujan Grisham and legislative representatives on Monday celebrated the passage of the ‘rocket docket,’ a package of common-sense, bipartisan legislation that was summarily blocked under the prior administration. The governor signed 42 bills Monday brought to her expeditiously by the Legislature. In a public event at the Cabinet Room, she signed one bill from each chamber, Senate Bill 9 and House Bill 44. Surrounded by members of both chambers and both parties, many of whom sponsored pieces of the docket, as well as some advocates, Lujan Grisham spoke about the importance of renewed communication between the executive and legislative branches and expressed optimism about the potential for further progress in shared priorities both in this Legislature and beyond.